I was once approached by a client who wanted to have a Dragon Money Clip with spring loaded Jaws. The original was inspired by the movie Face-Off starling John Travolta and Nicolas Cage. 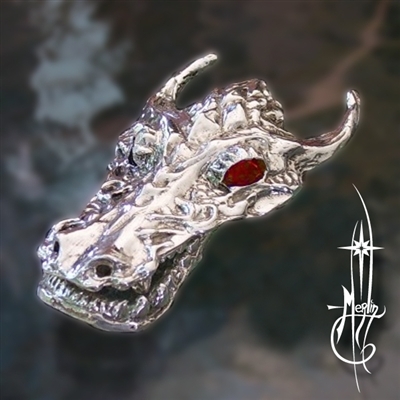 but to create the money clip with a different style of dragon head. The result was the first of my money clips. I received a request for a larger version with a deeper set of jaws. eye lid settings worked into the design. deep set, spring loaded jaws to grip your folding money. black onyx, and hematite cabochons. If you wish to go natural: red garnets and other stones on request.